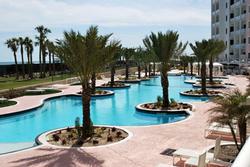 Find convenience and luxury at Sand `N Sea’s premier Galveston condos. Located beachfront in scenic West Galveston, the Pointe West and Diamond Beach condo developments feature easy beach access, gorgeous pools, and many other exclusive amenities ranging from biking trails to a wine room. Scroll down and click on a condo picture to view more photos, a detailed floor plan, availability, occupancy, reviews, specific amenities, and more. For rates, just enter your arrival and departure dates to see the total price––Sand `N Sea has no hidden fees. Ready to book? We make it easy. Reserve securely and quickly online. 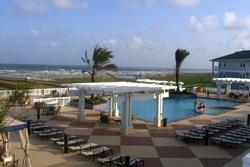 Questions about any of the Galveston condos for rent that you see here? Give us a call at 409.797.5500; we would love to answer any questions you have!